Our firm practices exclusively in the field of family law and handles divorces, paternity, modifications, domestic violence, appeals, custody, alimony, child support, contempt, interstate actions, and pre-nuptial agreements. The law firm of J. Demere Mason, P.A. is a dedicated family law firm offering expert services in handling all aspects of family law including divorce, paternity, modifications, custody, alimony, child support, equitable distributions, contempt, pre-nuptial agreements and appeals. Demere Mason Sr. is Board Certified as an expert in family law, is AV rated by Martindale-Hubbell (the highest peer review rating available) and has been rated by local magazines as one of the top family law attorneys in all of Jacksonville. Our firm includes Demere “Dems” Mason Jr., who also practices exclusively in the field of family law, and a staff of Bar Registered Paralegals to assist you in all of your family law needs. Mr. Mason Sr. has been repeatedly recognized for his expertise in the field of family law. 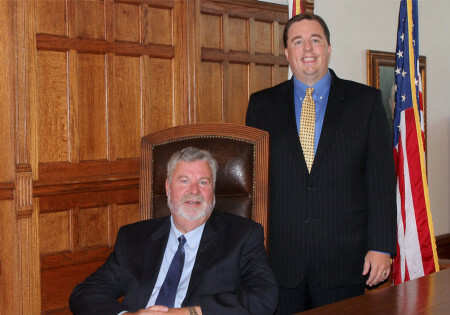 He is one of only eight Florida Bar Board Certified Family Law Experts in Jacksonville. Mr. Mason has also maintained a peer-review rating of AV (the highest rating available) through Martindale Hubble for the last 10 years. Mr. Mason holds the rank of “Master” in the Family Law Inn of Court as well. Mr. Mason has been interviewed by the Times Union for family law questions in the past and has been rated as one of the top family law lawyers in Jacksonville by Jacksonville Magazine and Jacksonville Luxury Living. Mr. Mason has also been a frequent lecturer at seminars and has mentored other lawyers on a regular basis for the past 15 years. Mr. Mason Jr. also exclusively practices in family law and has practiced with his father since 2007. He has been admitted to practice at both the state and federal levels, is a member of the Family Law section of the Florida Bar and currently is a “Barrister” member of the prestigious Family Law Inn of Court. Mr. Mason Jr. also coached the Duval County Mock Trial Team to the 2010 championship and is a volunteer judge for the Teen Court program. J. Demere Mason, P.A. caters to wide variety of clients of different backgrounds. We represent both men and women with equal enthusiasm and accept clients of all ages and genders. The Florida Bar prohibits family law attorneys from using past results in any form of advertising. However, our attorneys have handled many hundreds of hearings and trials and hundreds of mediations. The goal of the law firm of J. Demere Mason, P.A. is to provide expert legal services in the field of family law for reasonable rates for our valued clients. J. Demere Mason, P.A. specializes in all fields of family law except adoption. Our firm is designed to handle financially complex litigation for people with their own businesses and complex portfolios. However, we are fully equipped to and regularly handle cases of all levels of complexity. We are available for divorce, paternity, modifications, domestic violence, contempt, appeals, equitable distribution, alimony, custody, child support, visitation, mediation and pre-nuptial agreements.